St. Pe' Films is sponsoring a Film Night every Wednesday at the Pi(e) Lounge at Sal & Mookie's in Fondren. Each evening will begin at 7 p.m. with a film by a Mississippi artist, then one of the old classic B&W films from the Saint Pe' Films 475 film catalog of public domain masters. Independent film makers will be invited to come and show their works, with pre- and post-showing talks. No tickets. No cover. Just great movies and good fun (and the great company of fellow movie lovers). The Jackson Zoo is gearing up for coolest event of the year! The 14th annual Ice Cream Safari will be held Saturday, July 19, from 11 a.m. until 2 p.m. There will be 14 flavors of Schwan's Ice Cream available for visitors to try - rain or shine! Local television, radio and print media celebrities will be scooping up the ice cream flavors and all visitors are asked to vote for their favorite flavor as well as their favorite celebrity scooper. Ice Cream Safari passes, allowing visitor samplings, may be purchased for $1 per person in addition to regular zoo admission. Friends of the Zoo receive free admission but will need to purchase an Ice Cream Safari pass. Night Riders, a new Jackson-area business, will take you AND your car home if you've had a bit much to drink. The company opened on Dec. 15. Penalties for a DUI in Mississippi average $1,000 not including court costs and any additional fees. Night Riders charges a flat fee of $48 to make sure you and your car get home safely. You do the math. Then plug 1-866-3-NO-DUI into your cell phone for the next time you're even thinking about attempting to drive home after a few just because you don't want to leave your car. (Business hours are 9 p.m. to 2 a.m. Tuesday through Saturday. 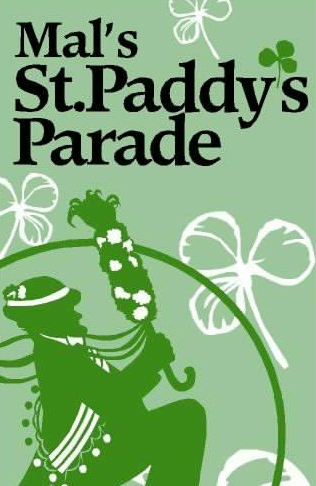 The Mal's St. Paddy's Day Parade will celebrate its 26th romp through downtown Jackson on March 15. The 2008 theme is "26.one, a MALathon" - tying in a marathon's 26.2-mile route. Sheila McNair - who finished last in the recent Mississippi Blues Marathon - will finish first in the parade as she will be the parade's grand marshal. As usual, the parade will start off with the BankcorpSouth 5k run and 1-mile Fun Run. More than 150 exhibitors showcasing their handmade products, fine art, holiday decorations, home décor, pottery, candles, children’s clothing and toys, gourmet foods, and more will converge on Jackson for the 26th Annual Handworks Holiday Market on Friday, November 16th from 9 am til 6pm and Saturday, November 17th from 9 am til 4 pm at the MS Trade Mart in Jackson. Visit www.handworksmarket.com for more info. The Arts Council of Clinton presents the Taste of the Arts tonight at 6:30 p.m. at the Clinton Visitor Center, located at 1300 Pinehaven Road in Clinton. Wyatt Waters and Robert St. John will sign Southern Seasons. 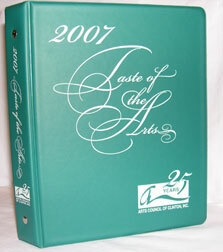 Participants can enjoy culinary delights prepared from recipes in the 25th Anniversary 2007 Taste of the Arts Cookbook. Both cookbooks will be available for sale at the event. Ruth's Chris Steak House is returning to the Jackson metro area in 2008 (more than a decade after they closed the location in Northpark Mall in 1996). They have signed a franchise location agreement for a site at the Renaissance at Colony Park on Highland Colony Parkway, which is still under construction. The restaurant will be 9,000 square feet and have 50 tables and a large bar. It is expected to open in late spring or early summer of 2008. I never ate at Ruth's Chris when it was in Jackson, but I had such an enjoyable experience at the Ruth's Chris Steak House at the Hard Rock Cafe in Biloxi (before my Macy Gray concert) that I will definitely be trying out the new location. Ruth's Chris Steak House was founded in 1965 after Ruth Fertel mortgaged her home for $22,000 to purchase Chris Steak House, a 60-seat restaurant near the New Orleans Fair Grounds race track, according to the Web site. The company went public Aug. 8, 2005. 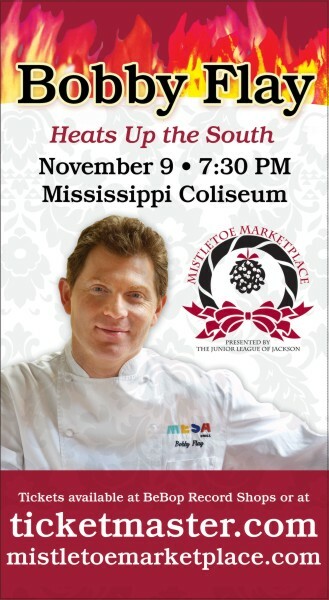 On Friday, Nov. 9, Bobby Flay will be at the Mississippi Coliseum at 7:30 p.m. The Junior League of Jackson's Mistletoe Marketplace brings Flay for a premier cooking event, Bobby Flay Heats Up the South: A Health Holiday Spectacular! Tickets are available at all Ticketmaster outlets and BeBop Records Shops. The tickets, which range from $39.50 to $59.50, do not include admission to Mistletoe Marketplace. The third annual Battle of the Saxes concert will be held at 7 p.m. Oct. 19 on the Jackson State University campus in the Rose E. McCoy Auditorium. The event, hosted by JSU's radio station WJSU FM 88.5 (one of my favorites), will feature renowned saxophonists Kyle Turner, Kelley O'Neal and Donald Harrison. Tickets range from $10 to $30. They can be purchased at WJSU from 8 a.m. until 5 p.m. Monday through Friday or by phone at (601) 979-2285. General admission tickets are available through Ticketmaster. Crossroads Film Society and the Mississippi Department of Archives and History will present Home Movie Day in Jackson on Saturday, November 3, from 9 a.m. until noon at the Winter Archives Building, located at 200 North Street in Jackson. The public is invited to bring in amateur films on 16mm, 8mm, Super 8mm, DVD and VHS. Films will be inspected by archivists and projected for your viewing pleasure. Information will be available on film preservation as well as the historical and cultural importance of home movies. This event is free and open to the public. 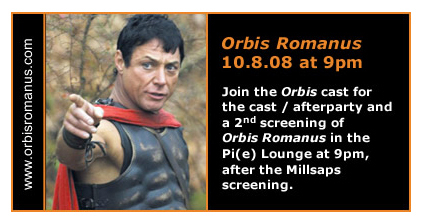 You may come and go as you please and do not need to bring films in order to enjoy the screenings.